Beautiful homes created with online interior design. The Kernodles built their home in the 80’s, where they raised their children and own a blueberry farm. 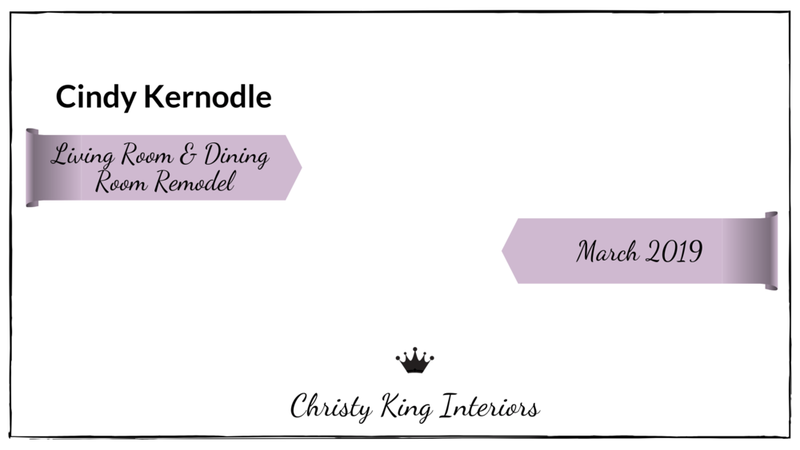 Cindy Kernodle was in search of a fresh new look for her home. She knew things she liked but wasn’t sure how to incorporate those things into her home. I showed her how to move her furnishings around to make better use of the space and to show off her focal point better. I chose new paint colors for her paneling to lighten the space and select new furnishings to create a new look fresh look for her home. We have combined her contemporary farmhouse style into her home to blend with some of her exisiting furnishings. 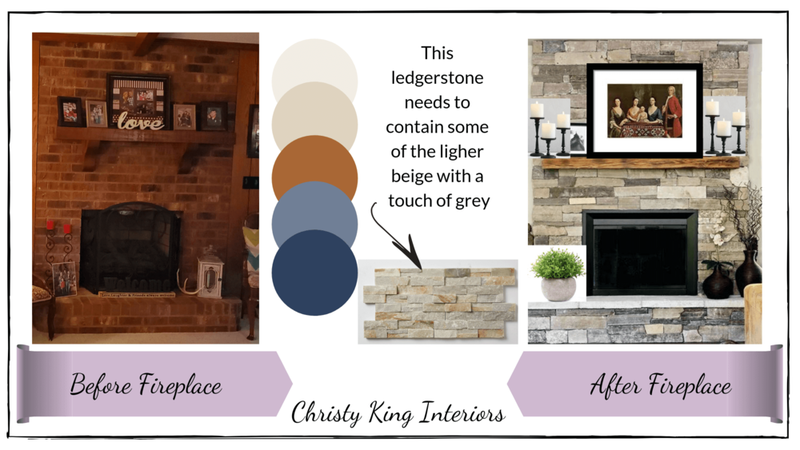 I have suggested covering the fireplace to an updated look with ledgerstone. While incorporating beige, grey, and blue colors to tie in with other rooms in the home. The Huffmans have two beautiful little girls and wished to create a family space for their family. A place that was casual and comfortable. The basement was going unused due to its out of date appearance. Melissa was not sure of her design style or where to start with her basement project. She wanted help defining her style, coordinating patters, colors and how to get the best use of the space for their family. I was able to help her define her Transitional decor style and create an area in the basement for conversations, watching movies with family and a separate table area that could be used for dining, games and even childrens homework. This Greensboro, NC bedroom was tired and outdated with its 90's look. 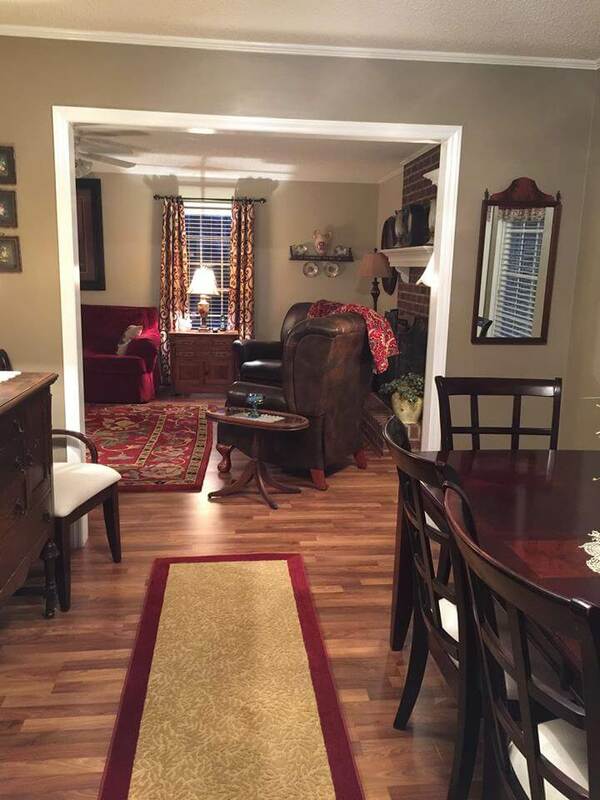 The family wanted to update their builder beige room and worn furniture they owned since they moved in years ago. A casually elegant bedroom was created with a touch of class. I updated the colors to this century with greys while combining beiges that will allow the room still to work well with the other areas of the home. New hardwood flooring will provide an easy to clean area free of allergens with a timeless look. 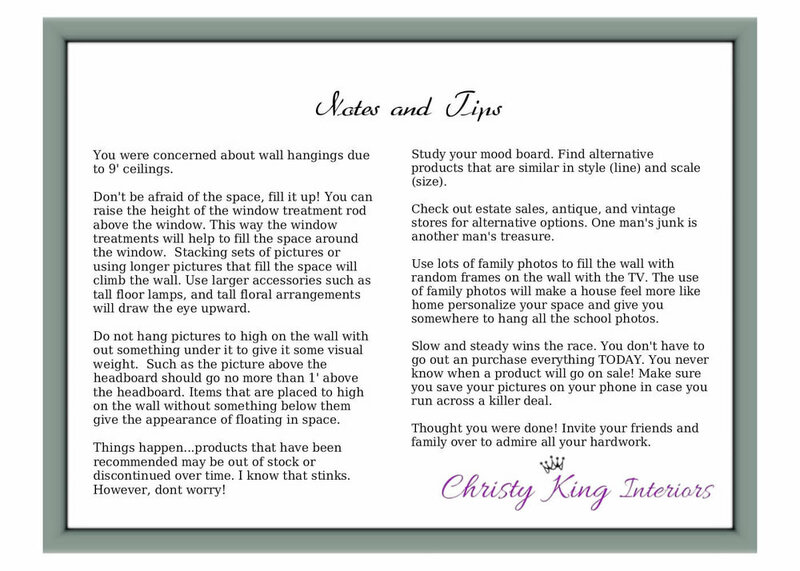 By keeping the window treatments light I was able to introduce darker walls without darkening the room. This new bedroom will allow the homeowners to have a cozy comfortable place to read, rest and recoperate. Slide the arrow above to see the room rendering and after photo. The homeowner let me know her family is still growing due to kids, and grandkids growing up. Sunday lunch after church is a tradition that your family enjoys but they are becoming more difficult due to the limited space in your existing dining area, and living room. This sunroom addition will provide light and an open feeling will make space feel large and inviting. This additional space will accommodate a custom made 12' table. As well as provide more seating in the living area adding comfort for your time with family. Tile flooring and durable fabrics will be resistant to wear and easy to care for. Bright colors will be used to create a cheerful atmosphere that is expected from a sunroom. My hope is you can enjoy your family in your new space for many many years to come. Mr Wadkins came to me with a very small kitchen that was so small that they had difficulty even getting in and out of the refrigerator. This homeowner wanted to open the space but was having trouble visualizing what the new space would look like. I redesigned the kitchen with a more open floor plan. These plans were then taken to the contractor and the bank for approval. This home is colonial style and the homeowner wanted a bit more up to date look. I chose transitional style cabinets to update but not loose the style of the home. 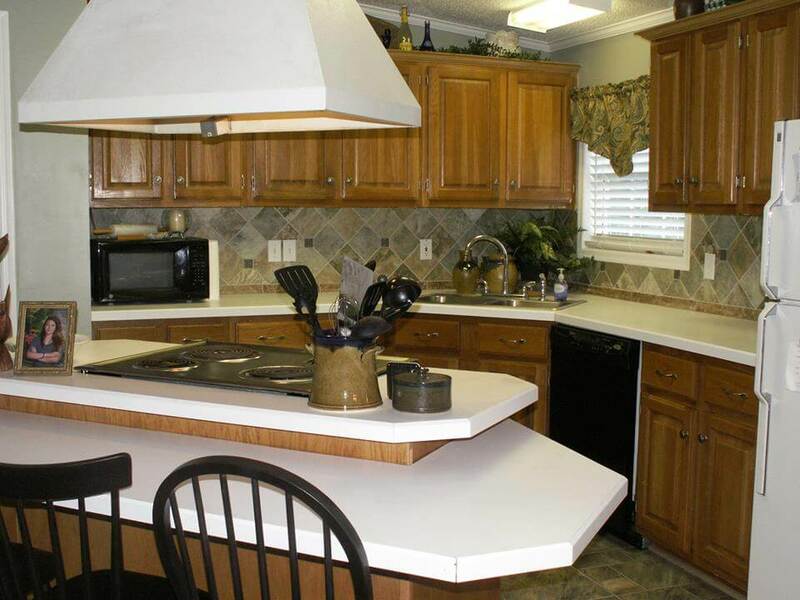 Light quartz countertops provide a great contrast with the darker cabinets. A complementary color scheme was created by using blue's and orange tones that balance each other well for an inviting space. Mrs. Holly Hardister just moved into a new home with blank boring walls. We chose the paint colors for the house during the building stages but once she was in the house she was not sure where her furniture, or pictures needed to go. She needed to work within her budget and had several items we were going to keep. The quilt she had already purchased was use to coordinate the rest of the room. She now has a beautifully decorated bedroom that she can be proud to show off. The feel of this small 70's bathroom went from dated and depressing to scerene and relaxing. This bathroom was updated with screne spa like colors of blue green and gray's. The tile provides a more up to date look with the larger tiles in tones of gray. Light cabinets helped to open up this small space and the floor pattern added a bit more interest. Mrs. Key wanted to create a timeless dining area and take this area to the next level. She loved some of the golds she currently had but wanted to create a space that was casual yet inviting. Black was added to the space to create a little boldness. This client is more tradtional and not a big fan of lots of bright colors. This new construction home on Badin Lake, NC is a classic. A beautifully designed backsplash featuring a large metal deco set the tone for the kitchen and is sure to draw the attention for many years. This metal was contrasted with the light subway tile so there was no competition for the deco to stand out. The master bathroom was designed with an elegant porcelian marble look tile. This marble look and crystal chandelier will make you feel your best everyday. And one is sure to never want to leave the back porch right off the water. The tile on the porch area mimics color and movement of the water giving the area a seamless feeling. Creating a great place to relax at the end of the day. Talk about texture! 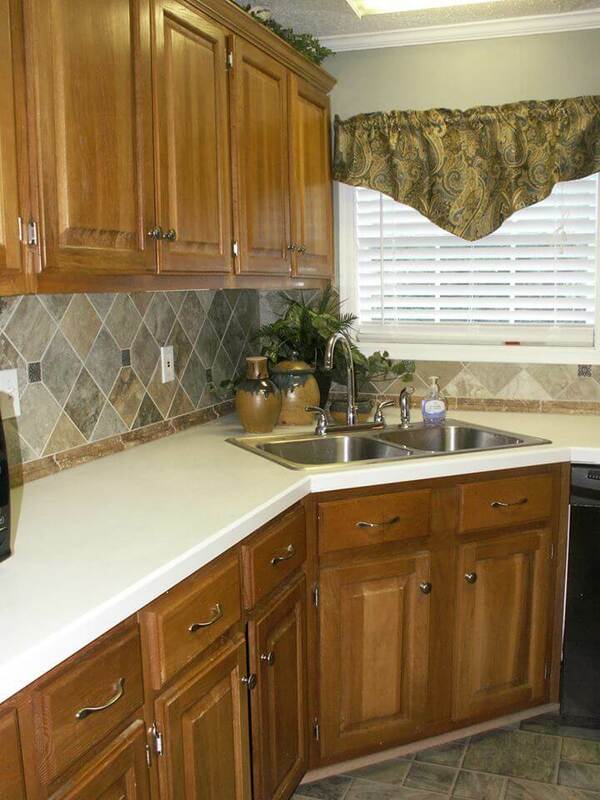 This kitchen backsplash is basketweave travertine. The client wanted to add a backsplash to their new cabinets and countertops. They were looking for a look that is not seen every day. 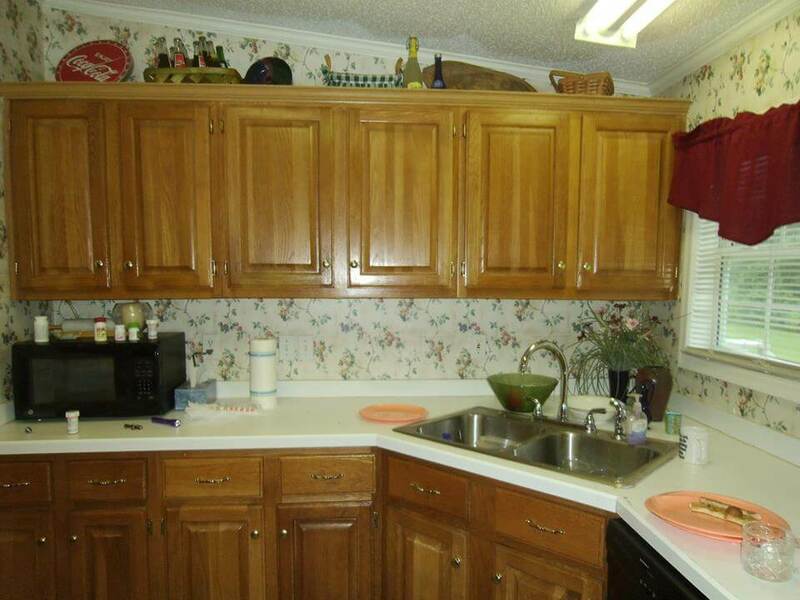 But a design that would accentuate the new cabinets. 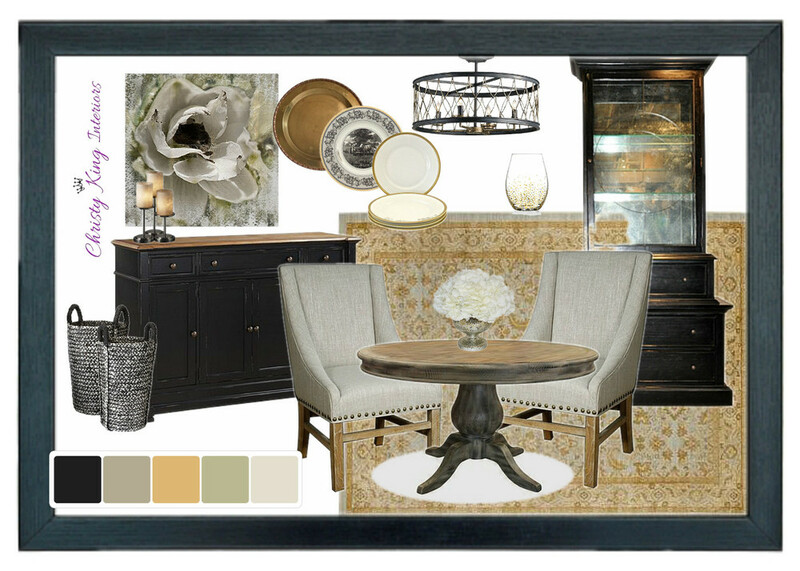 My baby boomer clients wanted to redesign the living and dining areas before their retirement. They have a more traditional style and wanted to encorporated family heirlooms and antique furnishings in to their design. The exisiting floor plans were adjusted to give the client better flow of traffic. They wanted to add some rugs to the hall and dining room to coordinate with the wool rug in the living room. 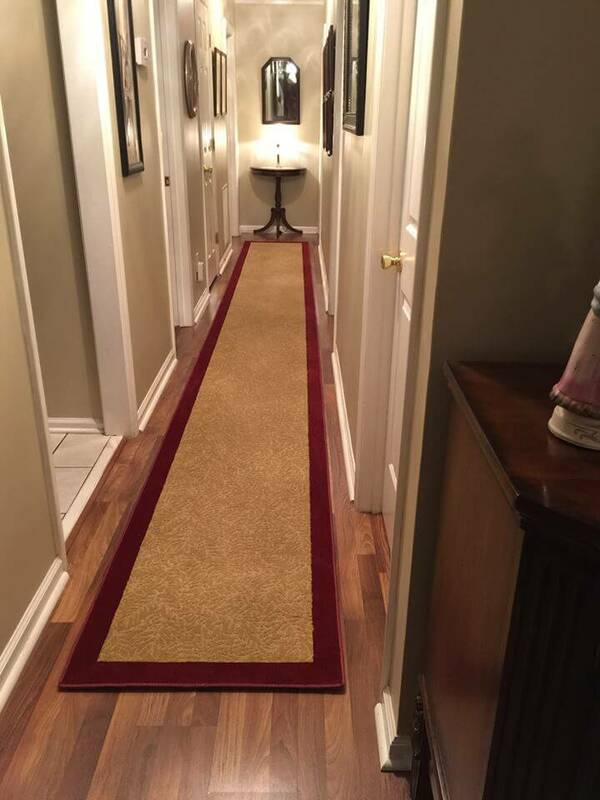 These runner rugs were custom made to accentuate the space as well as work with the adjacent rug. This kitchen and dining area project began with an unplanned flood in the home. This caused the client to decide to replace more than just the floor. 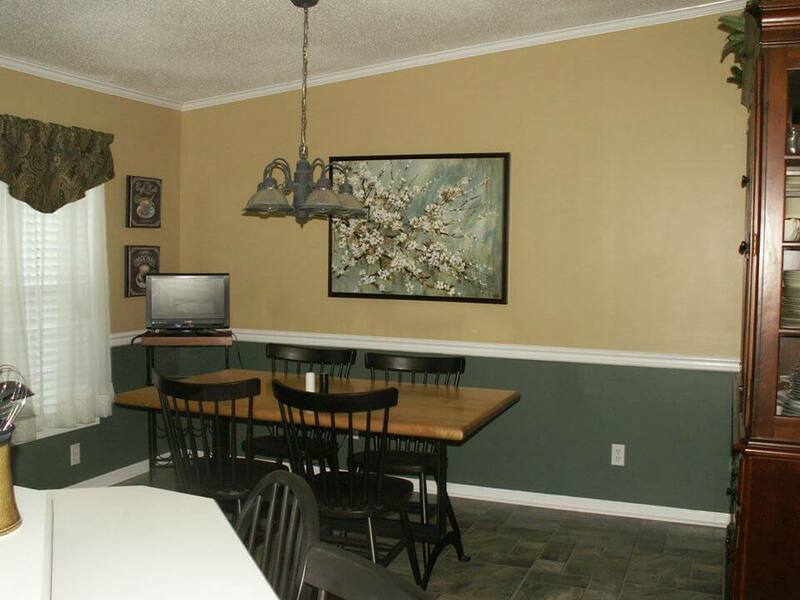 The before photos show the old colors in jewel tones of blue, green, and burgandy. This look was updated to tones of blue green, grey, blue and golds. The area had a casual cozy feel maintaining the clients reflection of style. My client enjoys a dark more dramatic bedroom but was tired of the checkerboard faux finish on the walls. All furnishings were kept and the paint, bed linens and flooring was replaced. The dark walls are warm, romantic and allow for limited light into the room while sleeping. The lighter color area rug under the bed set a beautiful contrast with the bedding.